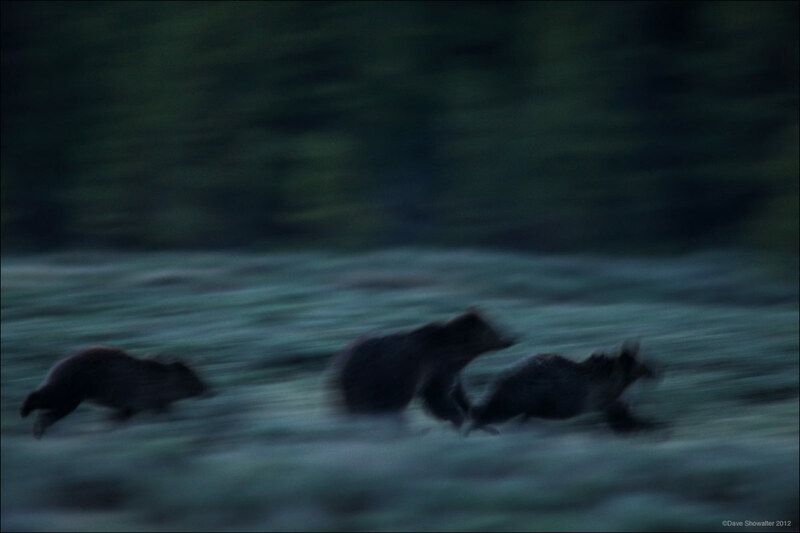 In near darkness, a grizzly bear sow and her two year old cubs run from Swan Lake Flats. The sow, known as "Quad mom" gave birth to four cubs in 2010. The two survivors, now sub-adults will be on their own in 2012 as the sow prepares to mate again. What were they running from? A large boar was seen in the meadow a few days after and she may have been protecting her cubs from him. Ursus arctos horribilis. Photo © copyright by Dave Showalter.